No grace-filled church will be unclear about the problem grace is meant to address. If we speak of grace without speaking the name of Christ, we aren’t speaking biblically of grace. . . . Christless talk is graceless talk. To be able to point Christians to a sovereign God who has revealed himself as gracious in Christ is perhaps the single most important thing that a pastor can do. 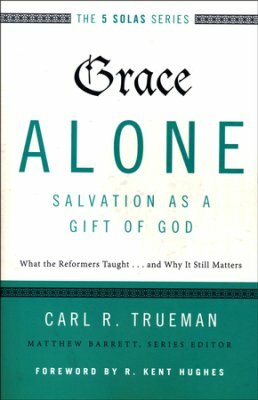 Editors’ note: This is an adapted excerpt from Carl R. Trueman’s Grace Alone: Salvation as a Gift of God (Zondervan, 2017). It is a volume in The 5 Solas Series.